Seems like being a mom comes with its own challenges. But that doesn’t mean you don’t get to enjoy motherhood, right? If you get the best backpack diaper bag, it means that you travel with your tot without worries. Be sure to check my video below on what to pack in your best diaper bag. You know the ops-moments? Those that make you wish the earth would swallow you alive! It reminds me of one time I was in a shopping mall, and the soiled diapers started leaking! OMG! But that’s a story for another day. This article is geared to ensure that such an incident never happens to you. Most noteworthy, we get to review the classiest yet reliable nappy bags in the market. 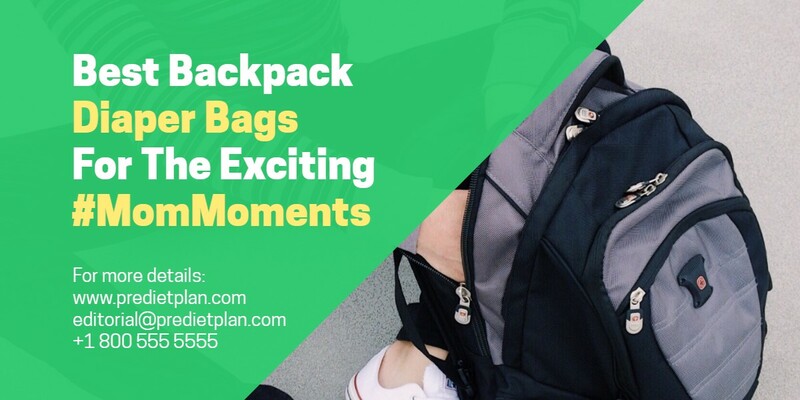 Remember nappy bags come in a variety of shapes; this article will be discussing the best backpack diaper bag per category. Read on to find out more. – You often climb stairs with your baby. You can develop serious back problems if you constantly juggle with hand luggage upstairs. The best backpack diaper bag relieves your hands and distributes weight evenly. Now your tot has your hands all to themselves. – You’re out shopping with your baby. You know how disappointing it gets; trying to juggle with shopping, a baby and messenger type nappy bags? It’s time to get the best backpack diaper bag. -You’re trying to get your child in or out of a car. Boy! Free hands come in handy here. Relieve yourself by getting the best backpack diaper bag. Made from cotton with an easy to wipe TPE coating, Yodo has once again spoken to mothers! It has an elegant and stylish look. While you can use it as a backpack diaper bag, you can convert to a messenger bag. Just make use of the detachable shoulder strap. The cream of the icing, wait for it… it comes with an insulated bottle holder and a changing mat. Being able to feed your tot while on the move! Most of all without wondering where the bottle warmer is! How cool is that? However, if going for long safaris, be sure to buy a portable bottle warmer . You can transform the bag in four ways; backpack, cross-body, shoulder or a handbag! All these innovations are available without having to deal with hanging straps. Most noteworthy, Yodo takes our best backpack diaper bag in the convertible category due to this reason. The bag is quite spacious and at the same time not too bulky. Location of the pockets is spot on, and the size is ideal. Changing mat and an insulated bottle warmer doubles up as a plus for this diaper bag. The bag feels more plastic rather than fabric. Probably this explains the relative low cost. An advanced, or should I say upgraded version of this bag that is guaranteed to last you ages but at thrice the price is JUJU . If you are looking for simplicity, then Graco have got you covered. With their smart organizer, organizing your stuff in this bag requires minimal attention. The pockets are several and profound enough to fit a lot of stuff! In addition to the two middle extensive pockets inside the bag, there are smaller mesh pockets. Yet, outside the bag, they have included several tinier zips up pockets. The straps are well padded to give your lots of comfort. It goes without announcing that this is the best backpack diaper bag in this category. It is simple yet functional. The bag is spacious with multiple side pockets. Includes a removable changing mat and a baby wipes dispenser. The changing mat is of a rather poor quality. Here are much better changing pads that you should consider buying. DadGear has got the coolest manly nappy bag. You would easily mistake them for a gym bag! It’s that cool! No floral pattern, no bright colors, just black. This feature is quite the opposite of other backpack diaper bags. When it comes to space, the bag offers three large pockets divided inside by mesh compartments. Knowing how messy dads can get, this bag has strategically located each item. For example, the lower front side holds baby wipes while the top part holds diapers. No more babes I can’t find this and that call; you know what I’m saying? Quite spacious and well-organized pockets. You don’t get to carry this; it screams men quite loudly! These are ideal for a girlfriend’s date or when attending formal functions. I believe every mother should own this diaper bag. Juju backpack diaper bag has such a lovely designer touch to it. In addition, it comes with several colors and patterns to choose. This backpack is guaranteed to last several washes. This is due to the Teflon fabric protector treatment. Teflon ensures an easy to wipe surface. Consequently, a more stain, odor, and mold resistance attribute. Most of all, to take hygiene standards a notch higher, juju comes with an Agion treated lining. This reinforcement enhances the microbial properties. Consequently reducing the growth of fungus, bacteria, mildew, mold and such stuff that causes odor. Below the bag is metal feet that ensure the bag never touches the ground. What a relief! Being able to comfortably place our best backpack diaper bag in a public toilet. The mesh lined well-padded straps give extra comfort while carrying this nappy bag. You can adjust the straps to suit your comfort level. Most noteworthy, you can remove the straps and convert the bag to a messenger bag. So should you decide you are no longer into backpack diaper bags, you don’t have to throw the bag away. It is extremely elegant and classy. Quite spacious with an insulated bottle pocket. Very well padded meshed straps. Extremely hygienic and with the right protective measures in place. Additional metallic support feet are a bonus. The bag opens flat to allow easy access. It includes a mom pocket which replaces the need for a purse. Quite expensive. But for such features, the price is probably reasonable. A pocket for the baby’s moisturizing lotion. You get the picture now? The more the number of pockets the better your nappy bags. Furthermore, why invest in the best backpack diaper bag if you can barely fit your tots essentials? The bigger the best backpack diaper bag, the better for you. However, an excessively large bag would not be ideal. You have to be able to move around comfortably: Without feeling like you are carrying another baby on your back. You get the picture? Most notably, let the kid grow with their nappy bags. In other words, consider a bag that is flexible and will fit bigger items as the child grows. Also, always think of the best backpack diaper bag to have deep pockets. They should be enough to fit the baby items you wish to carry. Read on below to understand which baby items you should include in your best backpack diaper bag. Your best backpack diaper bag material should be durable. You will wash the nappy bags quite often. As a result, they should not run colors or wear and tear quickly. They should also be easy to clean for hygiene purpose; most notably with newborn babies. Most of all, it’s important to buy a bag that your child will outgrow. Despite the continuous heavy use. Nappy bags should come with closures and strong zippers. These allow for versatility. In addition the efficiency of having to throw in a few baby items and get going. For the best backpack diaper bag, choose padded straps. Much as they give you comfort, they ensure your shoulder skin remains smooth and intact. Even when carrying heavy loads. More recently, nappy bags have included baby wipes pocket. It seems like now we don’t have to worry about the baby wipes drying out. The pocket is also conveniently located. You can grab the wipes while the nappy bag is on your back. Some sleek designs come with wipes dispensers. How cool! Even better, others come with a compatible baby wipes compartment. As a result, you can insert your favorite baby wipes container. They call them nappy bags, for this reason, right? Invest in good quality diapers, easy to change and also, well-fitting for your tot. Most of all get diapers that allow for proper wrapping when soiled. As much as we are putting them in the nappy bags, we don’t want stains. Leaking diapers can stain your best backpack diaper bag terribly. Probably you’ll end up using the wipes for the baby and yourself. Therefore ensure you carry enough depending on how long you’ll be away from home. Wipes are not only used when changing a soiled diaper, to wipe the baby’s bum. You also use them to clean spills during feeding for example. 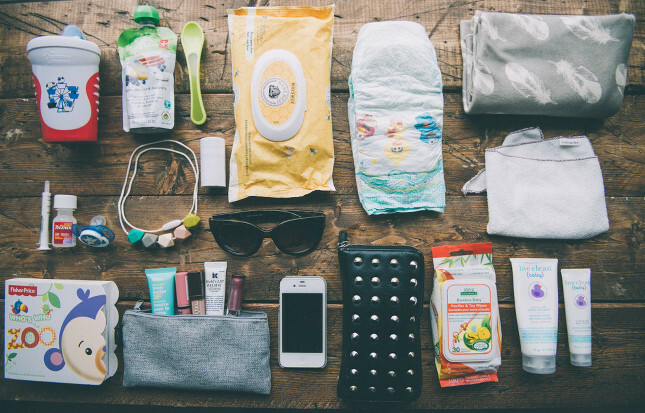 As a result you should never forget to pack your child’s wipes in your best backpack diaper bag. It is crucial to keep your baby’s skin moist at all times. Apply a generous amount of lotion after using baby wipes on their delicate skin. Up to the age of two years, keep up this practice. Consequently, I won’t have to see you in the clinic due to skin problems. Invest in a good moisturizer to avoid allergens and undesirable skin reactions. Below are some dermatological tested moisturizing lotions for babies. You don’t want to place you baby on any surface when changing a soiled diaper; they pick up bacteria very quickly. 99% of diseases causing germs are lying on the ground and surfaces. Most of all disinfect your hands before touching your baby’s skin if you happen to be outdoors. You have no idea what bacteria is lying on your hands waiting for your transfer. These are ideal for storing soiled diapers in your nappy bags. They also store dirty clothes to avoid soiling the rest of the items in your best backpack diaper bag. Babies are extremely delicate to change of weather. If you remain outdoors for longer periods of time, ensure you have warm clothes in your best backpack diaper bag. This is more relevant if you are traveling to places that you are not familiar with. Warm clothes would be a simple baby shawl or a sweater. Below are other warm clothes ideas. Most probably, if you baby is walking or crawling, this item comes in handy. After a long day of multiple activities with your baby, you need to change them. As often as they get dirty. You can’t, and you shouldn’t limit their exercises; they make the child develop sharp skills that are paramount in life. Most of all, avoid those weird looks people give you when you are carrying a dirty baby in public. IF your baby is at the age of nutrition, remember to take his food and drinks along. A hungry baby knows no peace. They will get fussy and spoil your day no matter how hard you try to calm them. That doesn’t mean you carry your entire fridge in your best backpack diaper bag. Probably pack enough depending on how long you’ll be away. That does not mean you carry your entire fridge, just pack enough depending on how long you’ll be away. If you are breastfeeding, you need to carry a nursing cover, breast pads, hand sanitizer and things like those. You also need your makeup kit and lotion. Best backpack diaper bags come in handy to ease your burden when outdoors with your tot. Enjoy those moments. Babies grow very fast; you’ll wonder what you did when they were young. Most of all always cherish motherhood by getting the best out of every situation. Why settle for less? Happy parenting! And as usual let me hear from you in the comments section. The best backpack diaper bags discussed here can also be found in the UK or EU below.